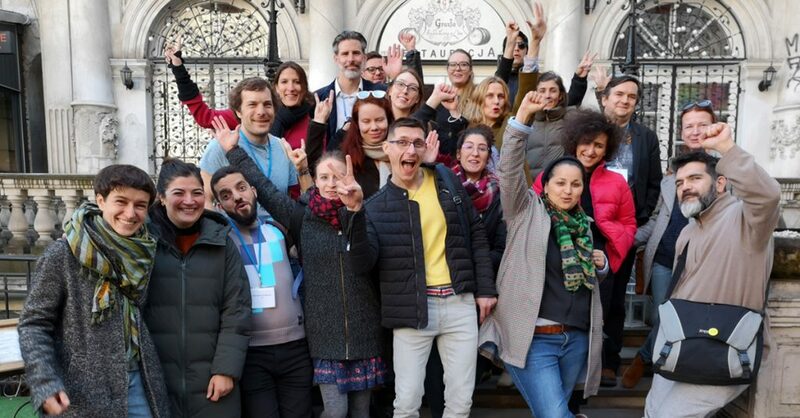 Our European Democracy Network (EDN) brings together a dozen of activists fighting against the erosion of democracy, the rise of nationalism and white supremacy, as well as the shrinking of civic space and for climate justice. 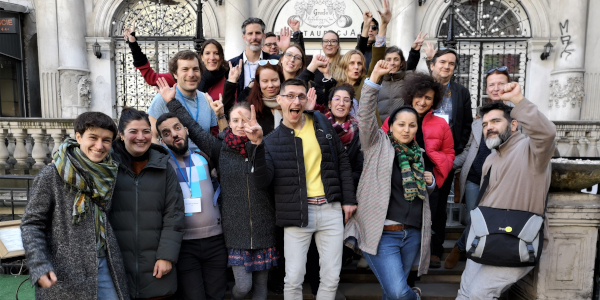 They met for the first time in Warsaw (Poland) on 22, 23 and 24 March 2019 together with the EDN partner organisations. During the three days meeting, they got to know each other, exchange about their experiences as activists in Hungary, Poland, Czech Republic, France, Turkey, Slovakia, Denmark and Germany. And the participants co-designed the future of the network, its activities and how do they want it to empower them. On Saturday evening, Citizens For Europe, Obywatele RP and European Alternatives co-organised a Citizens Dialogue in form of an open space gathering different activist groups both from Poland and across Europe. The purpose of this meeting was to give the floor to Polish activists to share about their activism and the situation in their country. The open space also allowed participants to talk about how they can connect their engagement to defend democracy, fundamental rights and how they can work together to fight the shrinking of civic space in Europe. Activists from Obywatele RP, the polish Women's strike, Transeuropa Caravans, European May, Diem25, CitizensLab, and many other organisations joined the event. You can find more information about the network, its activities and purpose here. And see more photos of the three-days meeting in Warsaw on our Flickr account.